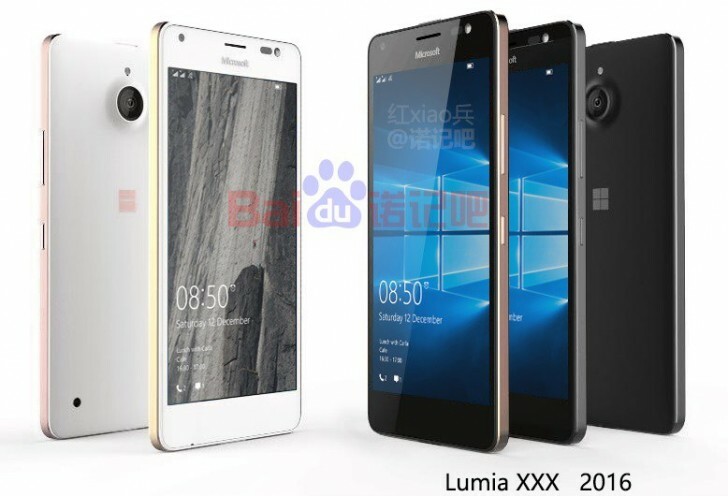 After a number of leaks, we now have seemingly believable press renders of what will allegedly be the Lumia 850, probably to be launched in just over two months. It's firmly in the gap between the budget 550 and the flagship 950 and 950 XL, though the 'affordable flagship' rhetoric may still be wheeled out, thanks to rumours of a phablet-sized screen and metal chassis. I'd expect a Lumia 850 to launch at MWC 2016 on 22 February next year. It will come with Windows 10 Mobile out of the box, of course, though I doubt that it will be compatible with Continuum. As the leaked image shows, it'll come in (at least) white and black, with metal perimeter and peel off back plate.